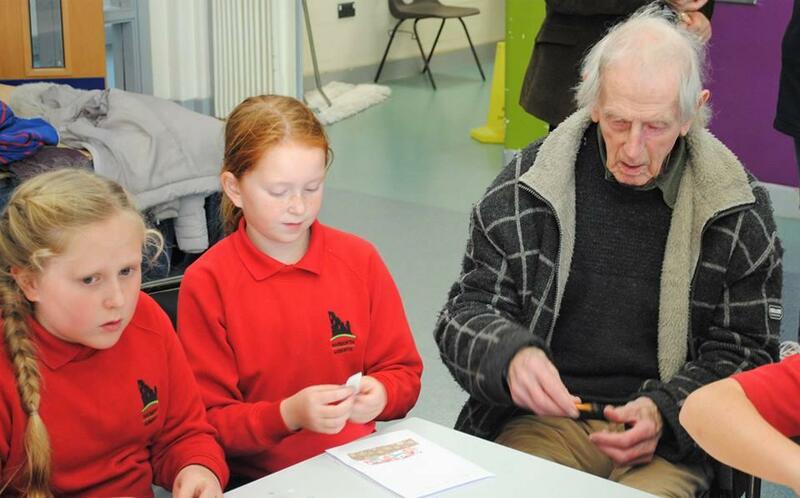 The school Hall in Narberth Primary School was a buzz of artistic activity last week. 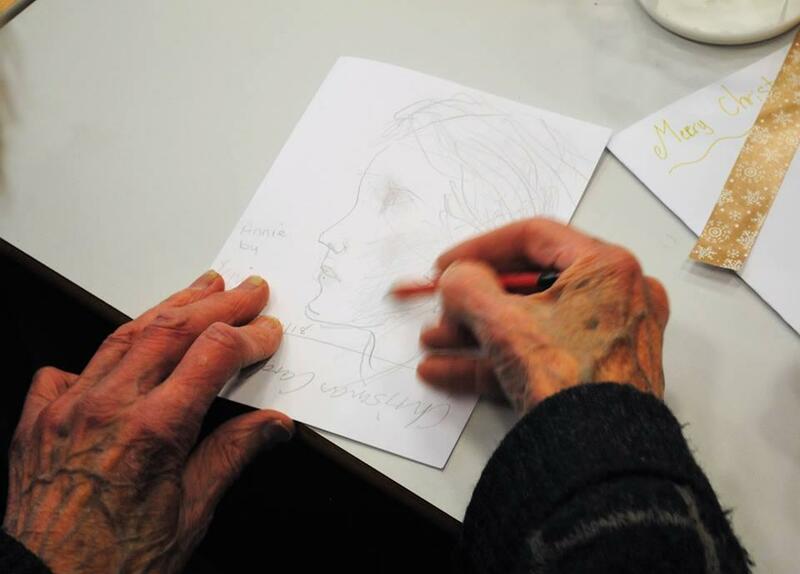 Head Teacher Mrs Nia Ward kindly organised an event for the LMG elderly members. 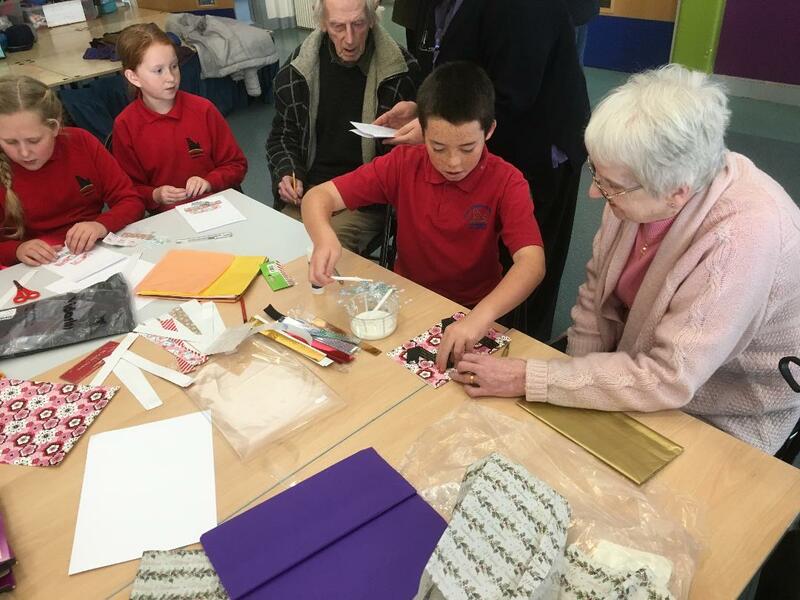 Twenty four pupils who belong to the Rotary offshoot "RotaKids" were in the hall helping the old folk to make Christmas cards using card, felt markers, glue and coloured patterned paper. The results were extraordinary remarked Rotarian President Tony Ensom. 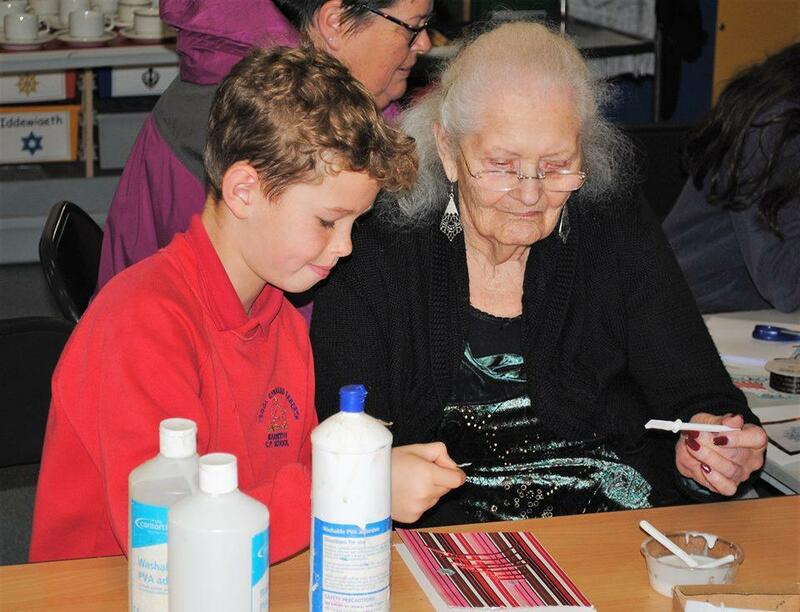 The event was in fact a social interaction between the young and old generations some of whom had been brought by bus with carers from the Bloomfield day Care Centre. During the session the junior officers of RotaKids presented a cheque to the Rotary Club in support of the recent "End Polio Now" campaign which was held late in October. 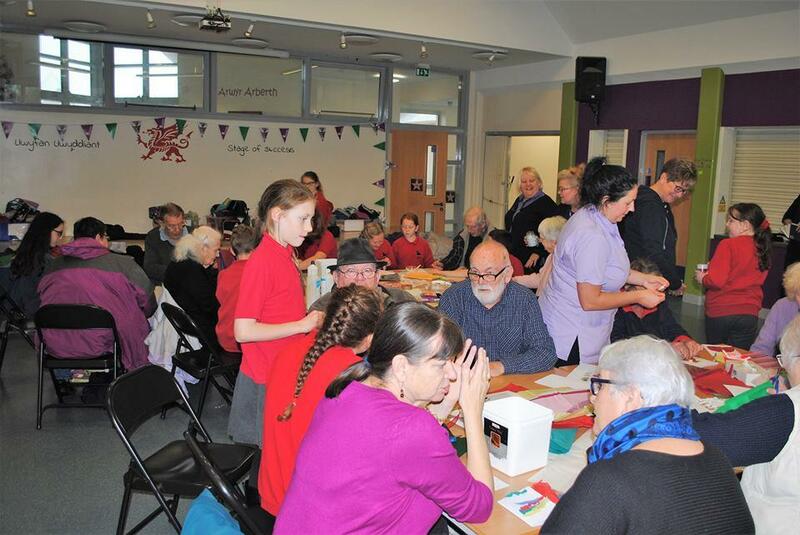 The children had in fact organised a raffle and some other fund-raising activities to raise the grand sum of £160. 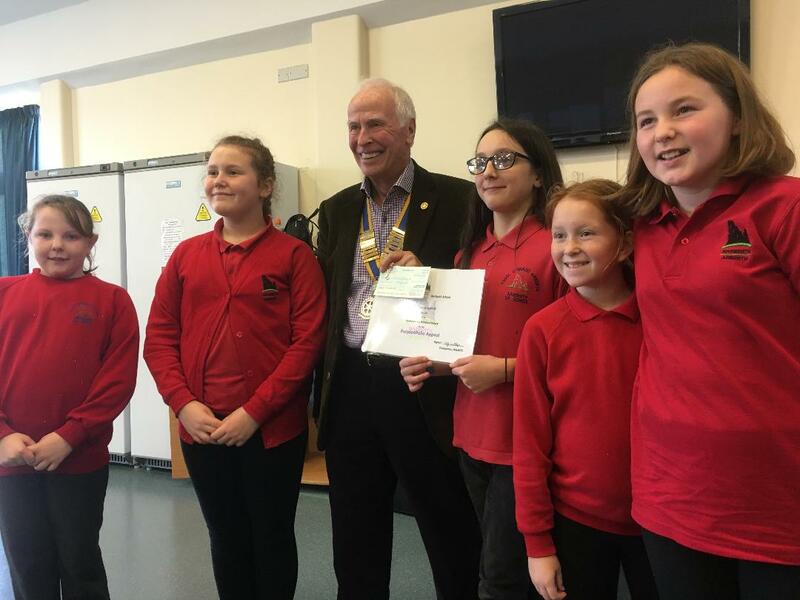 Pictured with the Rotary president are RotaKids President Verity (presenting the cheque), two secretaries Frankie and Lily-Ella, Treasurers Annie and Scarlett. 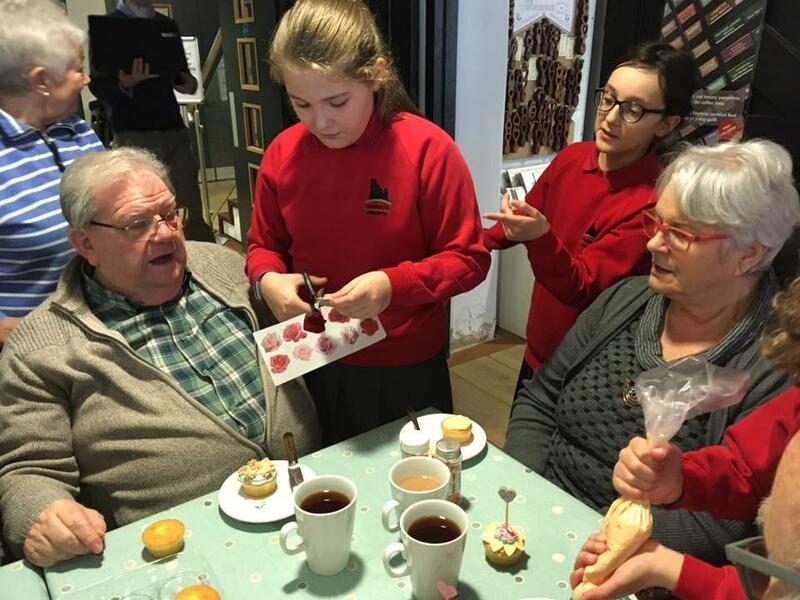 Head Teacher Mrs Ward commented that the children benefit greatly from undertaking such community-based activities which are actually part of the Wales Schools curriculum She also confirmed that the school had also organised an event "Elf Day" to support the Alzheimer's society. 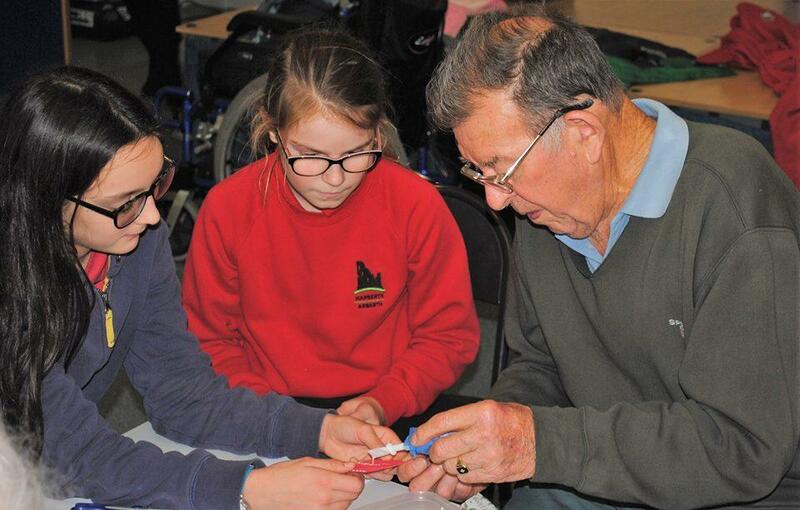 The Rotary Club is certainly grateful for the help given by the school towards the Living Memories Group (LMG).